When we have warm sunny days, I like to head outside and enjoy the day. Usually I have no problem having my son join me, but some days it's a struggle to get him off his devices. 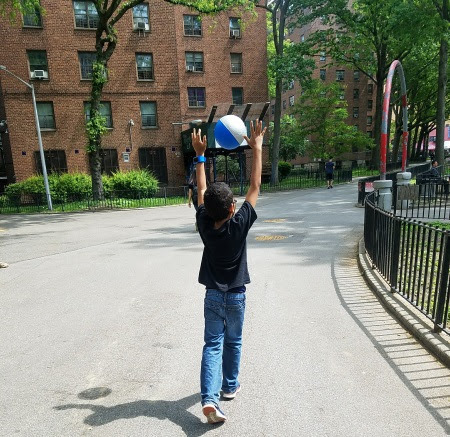 I know that other parents struggle with getting their kids to have regular non-digital play time. Which is important because nationwide, approximately 17 percent of children and adolescents aged two to 19 years are obese, according to the Centers for Disease Control and Prevention. 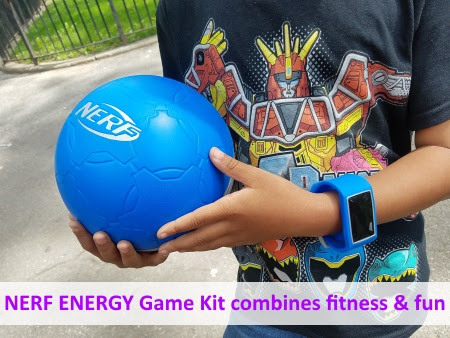 To learn more about how “exergaming” works, we received a NERF ENERGY Game Kit to try out. Our kit included a kid friendly activity tracker and soccer ball. All we had to do was download the free mobile game and start “exergaming”. 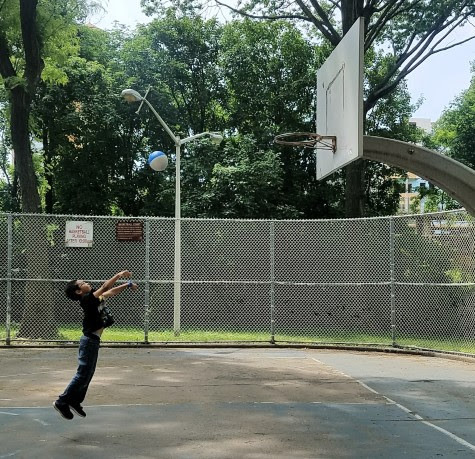 We headed to the local basketball court to try everything out. My son enjoyed some time "hooping" it up on the court. All the while he was dribbling and all the other court moves, he was racking up "energy points" tracked by the activity band. 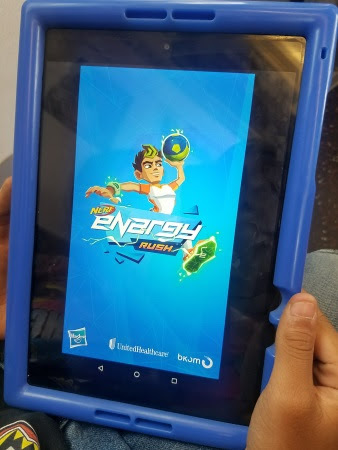 After he was done on the court, he could then enjoy some gaming since those points turn into screen time to play the mobile game (NERF ENERGY RUSH) on a smartphone or tablet. While you can play the game without the points, it's way more fun and great encouragement for kids to move around and get the point perks for the mobile game. Since the child can pick their own method of being active, parents don't have to nag them to be active. And kids get the best of both worlds! 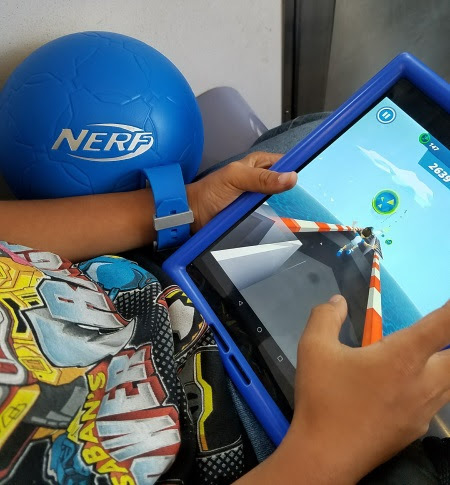 UnitedHealthcare has already donated 1,500 new NERF ENERFY Gaming Kits to Boys & Girls Club members across the country to promote physical activity. And continuing throughout 2017, UnitedHealthcare plans to donate 10,000 NERF ENERGY Game Kits to schools and youth-focused organizations nationwide including Baltimore, Orlando, Honolulu and Providence, Rhode Island.